Auto Theft near Antioch Dr. / Millburn Dr.
Auto Theft near Allanhurst Dr. / Woodvalley Dr.
Break-and-Enter near Bywood Dr. / Remington Dr.
Auto Theft near Antioch Dr. / Dewitt Rd. Auto Theft near Prince Edward Dr. North / Queen Anne Rd. Auto Theft near Woodcrest Dr. / Bewdley Pl. Auto Theft near Prince Edward Dr. South / Bermuda Ave.
Robbery near Goswell Rd. / Prennan Ave.
Break-and-Enter near The Kingsway / Anglesey Blvd. Auto Theft near Government Rd. / Dunedin Dr.
Auto Theft near Dundas St. West / Burnhamthrope Rd. 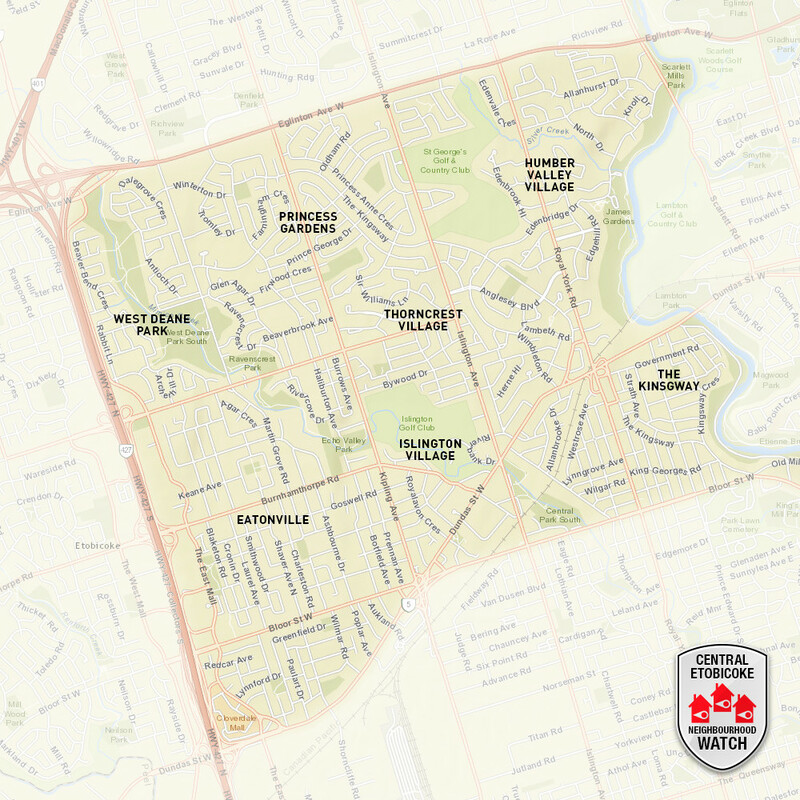 Thefts from Vehicles: There were 13 reported thefts from vehicles in the past 2 weeks; 3 near Martin Grove Rd. / Nottinghill Gate in West Deane Park, 1 near Antioch Dr. / Puckeridge Cr. in West Deane Park, 1 near Capri Park in West Deane Park, 2 near Hampshire Heights Park in Eatonville, 1 near Oregon Tr. / Bloorlea Cr. in Eatonville, 2 near Silverhill Park in Eatonville, 2 near Dundas St. West / Renown Rd. in Six Points, and 1 near Prince Edward Dr. North / The Kingsway in The Kingsway. Please note, that thefts from vehicles tend to be under-reported. If you have had something stolen from your vehicle, please report it to the Police.